A man was attacked and had his smartphone stolen on Freeport. Freeport, NY - December 29, 2013 - The First Squad is investigating a Robbery that occurred on Friday, December 27, 2013 at 1:00 a.m. in Freeport. According to detectives, the male victim, 20 years of age, was entering a building on Pine Street when he was approached by three male blacks, wearing black hooded sweatshirts and blue jeans. The subjects pulled him to the ground and punched him in the face causing contusions to his face and 7 broken teeth. The subjects removed the victim’s Boost Mobile Samsung Galaxy cell phone and fled on foot in an unknown direction. The victim refused medical attention at the scene. Win 2 tickets to see Lady Gaga at Nassau Coliseum, along with a private picture with her. 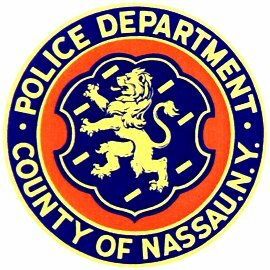 Subject: LongIsland.com - Your Name sent you Article details of "Nassau Police Investigating Freeport Robbery"